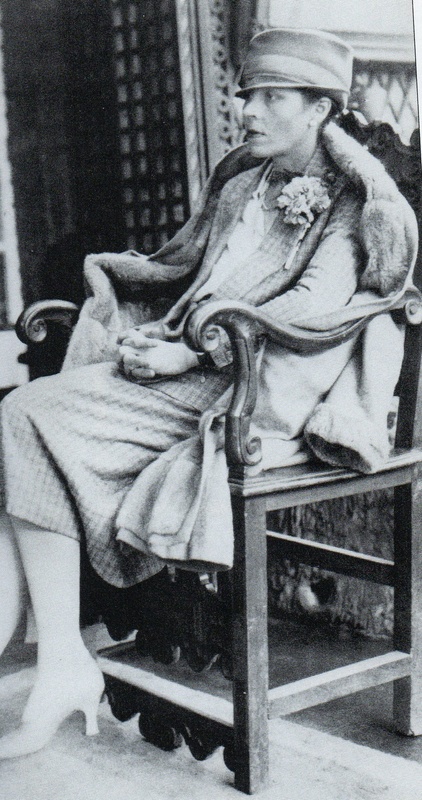 Djuna Barnes (1892-1982), the lesbian Modernist recluse, always a sideline figure, has come into something of a revival in recent years. She was a writer’s writer, influential, admired by T. S. Eliot, John Hawkes, Malcolm Lowry and William Faulkner, among others. Her novel Nightwood has been reprinted and hailed as a forgotten classic but the rest of her corpus is given vanishingly little attention. 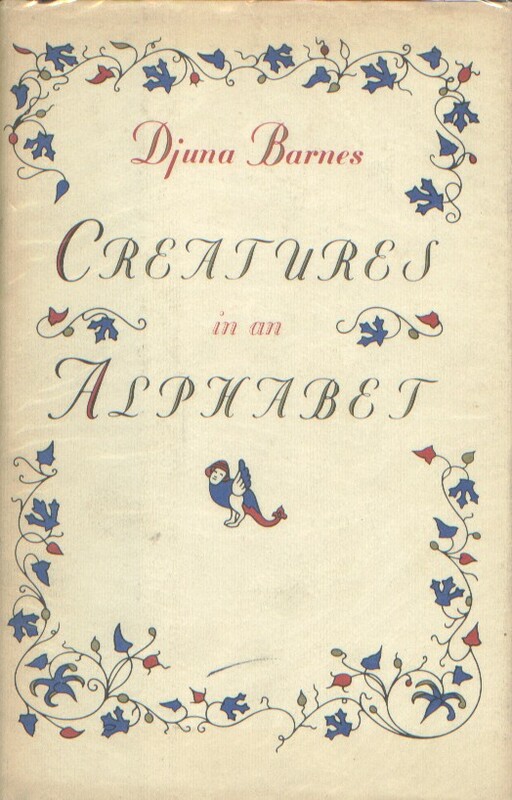 Any reader worth their salt is interested in her and Nightwood is in the upper reaches of my to-be-read pile, but my introduction to her came a couple of years back with her strange swan song, 1982’s Creatures in an Alphabet. For this is how the Lord has planned. So far, so simple. Then you turn the page and are confronted with a single word: Alas! With the layout defying all normality attention can be turned to the text itself. It’s quickly obvious that these poems are not so much children’s rhymes as they are in a state of mad compression. The tone ranges from the occasionally whimsical, as when comparing the springbok to popcorn, to the flippant “Tyger, Tyger!” – Who wrote that? to a deliberate anti-romanticism. Though it be loud with auguries/Of summer sun, and happy days;/Nonetheless the Blue Jay is/Lined with insect agonies. Meanwhile, her vocabulary is full of words such as “auguries” and a set of sophisticated references including a Raccoon at quadrille and a Seal compared to a portrait of Madame Recamier. What this book is, then, is a puzzle. It is not a very grand or important puzzle anymore than it is great poetry – but it is interesting. An odd bit of marginalia to be sure, but I find it strangely touching. Many of the rhymes have a melancholy, cynical aspect and the book does reward a slow and quiet appraisal if you ever find it in your hand. The Walrus is a cow that neighs. It sits on ice, and alone.